A safety program is a planned group of activities, functions and practices which occur regularly to address your health and safety needs. Unfortunately, many lab safety programs fall short of their goals to reduce risk and injury rates due to ineffective training, enforcement and other factors. The Lab Safety Institute has identified ten critical components that define an effective program and will share those with you to help you optimize your own lab safety program. James Kaufman is President & CEO of The Laboratory Safety Institute. 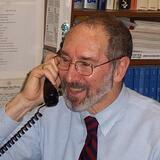 Dr. Kaufman has retired from his position as Professor of Chemistry at Curry College near Boston, Massachusetts. Prior to Curry, he was a research chemist at Dow Chemical. While there, he became increasingly involved in lab safety activities and authored Laboratory Safety Guidelines, which has become the world's most widely distributed lab safety publication. Dr. Kaufman is regarded as the nation's foremost authority on safety instruction in academia. He is the author-narrator of the ACS Audio Course on Laboratory Safety and Editor of Waste Disposal in Academic Institutions, Lewis Publishers, as well as the "One-Day Lab Safety Audio Seminar" and "Two-Day Lab Video Short Course."